Norah Lorway is a Canadian composer and sound artist. Her works are created using real world and computer generated sounds, formed into a collage of textures to form a mix of the real and the abstract. Norah completed her MMus at the University of Calgary and her BMus from Mount Allison University. 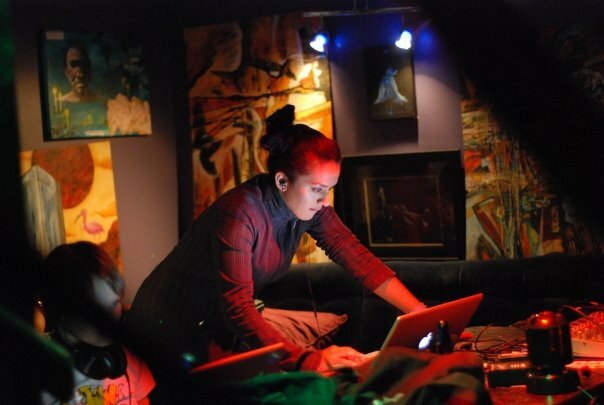 She is currently a PhD student at the University of Birmingham studying electroacoustic music. She has had works performed throughout North America, Australia, Germany, the Eastern Caribbean, and the UK. Norah will be performing a live laptop improvisation combining a mixture of deep drones and ambient fixtures at the SOUNDkitchen Opening Banquet.